MANILA - Former Special Assistant to the President Christopher "Bong" Go on Tuesday denied that he was using state resources in his senatorial bid, even as he refused to reveal his major campaign donors. Go told reporters he would be upfront about his campaign expenses when he files his statement of contributions and expenses (SOCE). ”It will be declared naman. Magiging transparent po lahat iyan, may SOCE naman tayo,” Go told reporters in a chance interview in Pampanga. Go's senate bid has drawn criticism over his close association with President Rodrigo Duterte, who has access to the state's funds and other resources. The former presidential aide has been spearheading the launch of so-called Malasakit Centers around the country, a one-stop shop for the poor who need medical aide and other social interventions. 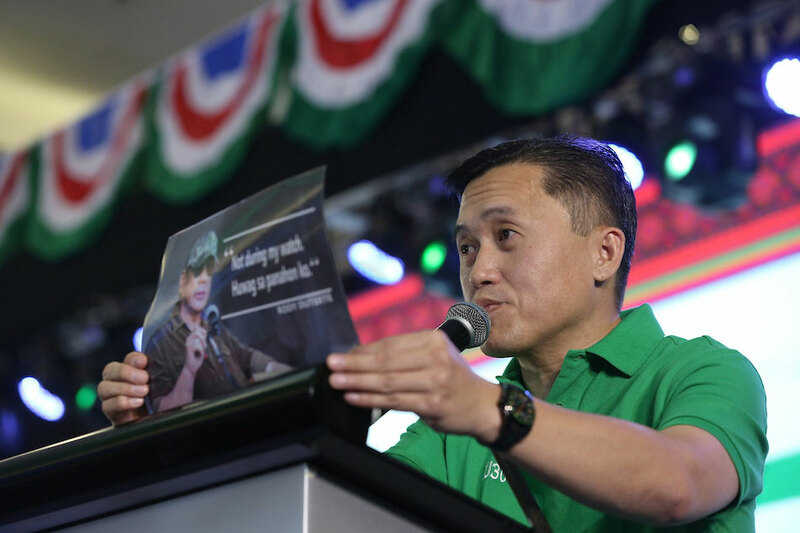 Meanwhile, Go said he had nothing to do with numerous billboards and posters featuring him that have sprouted across the country, as the poll body warned of sanctions against candidates found to have violated campaign rules. Go said he and the President have many supporters who put up posters and billboards for his Senate bid. “Napakarami pong mga supporters namin ni Pangulong Duterte na sila ang kusang naglagay. Nakikiusap ako, nananawagan ako, na pakitanggal ang mga billboards, mga posters,” Go said. The Commission on Elections earlier warned that candidates with illegal posters may still be held accountable even if they claim that these were put up without their approval.